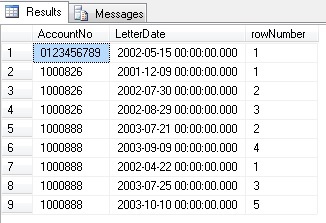 What I’m looking for is some SQL that will turn the rows in to columns, so there is only one row per Account number and number the LetterDate in order of when they were mailed. Can anybody help me with the solution. No that's not working , I am working on date format that need to be displayed as letter one. Can i get a query so i could modify accordingly for the solution. Ref the example in the link that deals with pivoting your table, use order by convert(datetime,LetterDate,101) in both section that deals with adding a third column on which the table data will be pivoted to get the resulting table you outlined. I have already table which is a single table and there are accountno and list of letter date for different account #, Which is currently displaying in columns for each account #. If a user has 18, you have to include 18 entries in the method you chose. I need above output to convert in rows, Please help me with the query as i am very new to PIVOT plz tell me how to write the query. The list of letter date to be converted into Letter 1-Letter 6 for each debtor no in rows format. 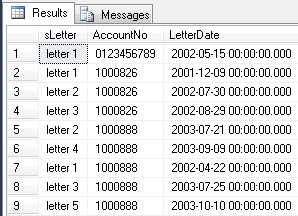 The data i am working is very huge and i need a query that displays in row format for each debtor # the letter date should display as letter 1 ,letter 2 and so on. Please write me query as i am very new to it. Did you try using the query I posted? ok, here is a more simplified version without creating temp tables. I just noticed I had an extra subquery in there that isn't needed. It gives the same result. Subquery to get the row number in date order. Then union query builds the table of field. 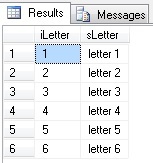 The Cross Apply query puts the Letter number which is used for the pivot. you would have to manually group by AccountNo and then have the others listed as columns. I want to know is there any way to build a query converting columns to row without PIVOT function in sql, For the same task can i have a query withou PIVOt function. 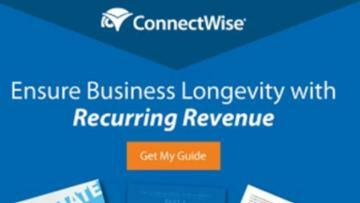 The third column would be the counter of letters the specific account has. The last solution I gave does not use pivot function. Pivot is the straight forward thing as I suggested by reference in the original response. The manual way the asker has to know the MAX number of columns ahead of time. and use an aggregation (group by) with case to differentiate among the aggregated data and their column position. In the example the asker posted, you have 1-7 letters, the asker has almost 21 for the same AccountNo. The other way I posted, deals with using COALESCE to combine all the letter dates into a single long column.